Great game of Utah winning a direct rival. Mitchell and Gobert, spectacular. Very good Ricky (16 + 6 + 6). The Spurs were very short. A key game was played in Salt Lake City between two teams that were tied in the table. In the end the one that is better of the two prevailed. The Utah Jazz get their second consecutive win, seventh in the last ten games, and already look at the fifth place that occupy a Rockets that only take half a meeting. For its part, the Spurs chain four consecutive defeats and each time show more symptoms of exhaustion. The visitors started well, with their two stars playing at a good level. DeRozan (23 and 5 assists) and Aldrige (15 + 10 + 4) gave the Texans the first advantages. But from the second quarter everything changed and the premises began to be made little by little with the control of the party. 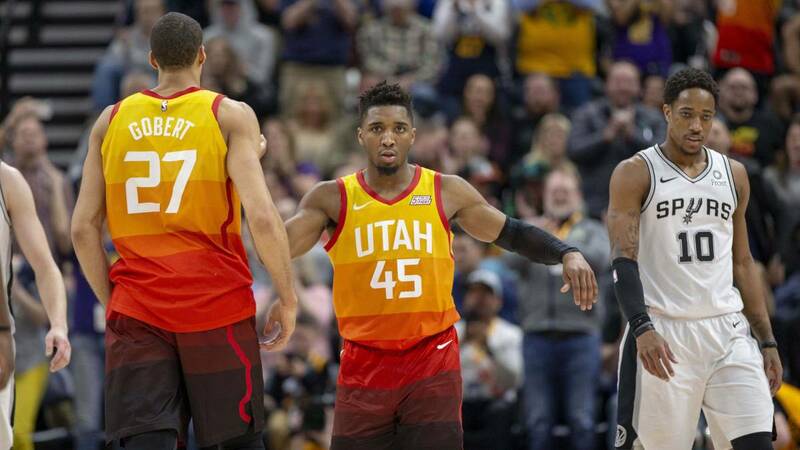 Donovan Mitchell, which continues to a tremendous level for a few weeks, boosted theirs with 23 points, 5 rebounds, 5 assists and 3 robberies. That on the one hand. On the other, the Gobert-Rubio connection played havoc in the defense of the Spurs. The Frenchman (21 + 13 + 4 and 2 blocks) was the owner of the area and took advantage of several plays of the great chemistry he has with the Spanish base. Ricky (16 + 6 + 6), with his place safe until the end of the season, left a great performance. There is also highlight Roy O'Neale (17 + 5, 4/4 in triples), that although he has returned to the bench has become a fundamental man for the Jazz. Now await two exits of aúpa: Warriors and Thunder . But you can face them with the peace of mind that the calendar has a lot of strong emotions coming from March, at which time if they continue at this level they can win many games. The Spurs are in the middle of their eight-game away from home tour. So far they have lost the four that have played (Kings, Warriors, Blazers and Jazz). The other half is kinder (Grizzlies, Raptors, Knicks and Nets), but the team begins to show certain shortcomings that were always there but were able to disguise for a few weeks.